Inspired by their European counterparts Remco has developed an Australian pool cover which provides the very best in design, functionality, safety and performance. 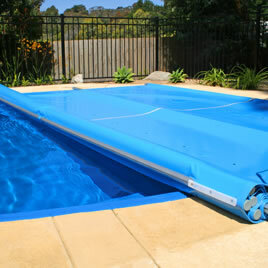 This automatic swimming pool cover system can be installed above or below ground for enhanced aesthetics. The perfect pool cover for new or existing pools and the latest innovation in swimming pool safety, PoolGuard is a durable, multifunctional cover. Providing complete impenetrable protection for total peace of mind and unsurpassed insulation, saving you energy and money. The only fully automated vinyl pool cover suitable for free-form pools, Coverstar is key operated for controlled access and able to hold the weight of an adult, ensuring unparalleled safety and control. Fast opening and closing speeds will see you use your pool more often.